In hindsight it always was a pretty obvious recipe for success. Take a lady, throw in a little Indiana Jones, a pinch of Doc Savage and stir with attitude. Presto - you've got yourself one Lara Croft, aka Tomb Raider. The first video game hottie to move the fanboy world in ways only Maxim magazine previously had. While she has taken a bit of a dive outta sight of late, with video game adaptations currently popping up in comics left and right, surely we could find a little room for Ms Croft to stage her comeback. 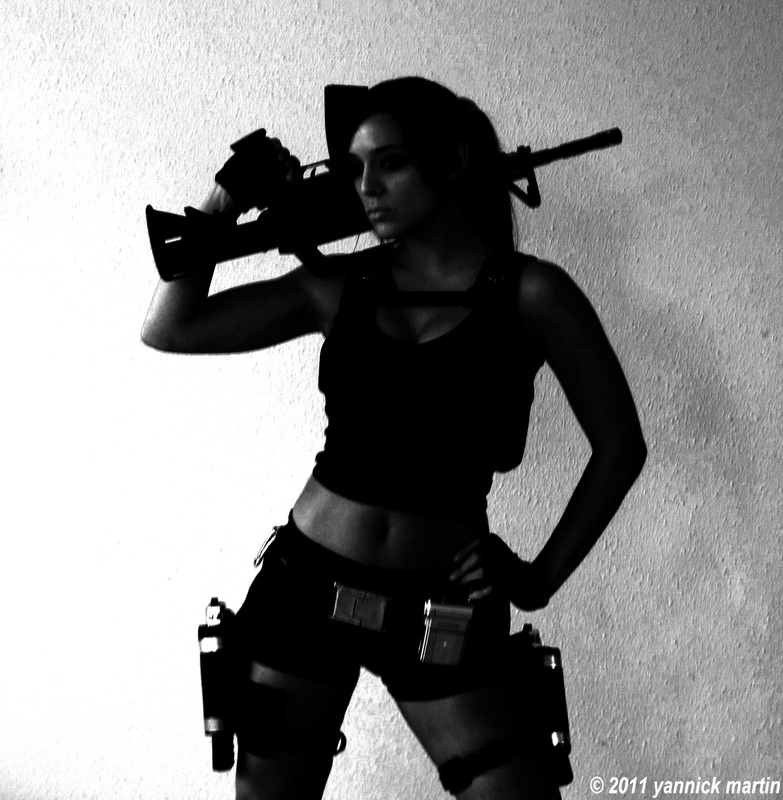 The world of Cosplay however has always had Lara in it's sights. Proving the case, French lassie Tiphaine isn't just one of the best Tomb Raider Cosplay artists around, her photo gallery as the lethal video game vixen proves how fully loaded the Tomb Raider concept still is. To see Tiphaine's full portfolio, including a few Sucker Punch cosplay's thrown in for good measure, click the jump. Never really took to the Tomb Raider games, always thought they were overrated based on the appeal of Laura Croft alone. I'd be willing to give the game another shot though. Just to be fair and impartial mind you. And I hear another movie is in the works Craig, so we just might get our wish!